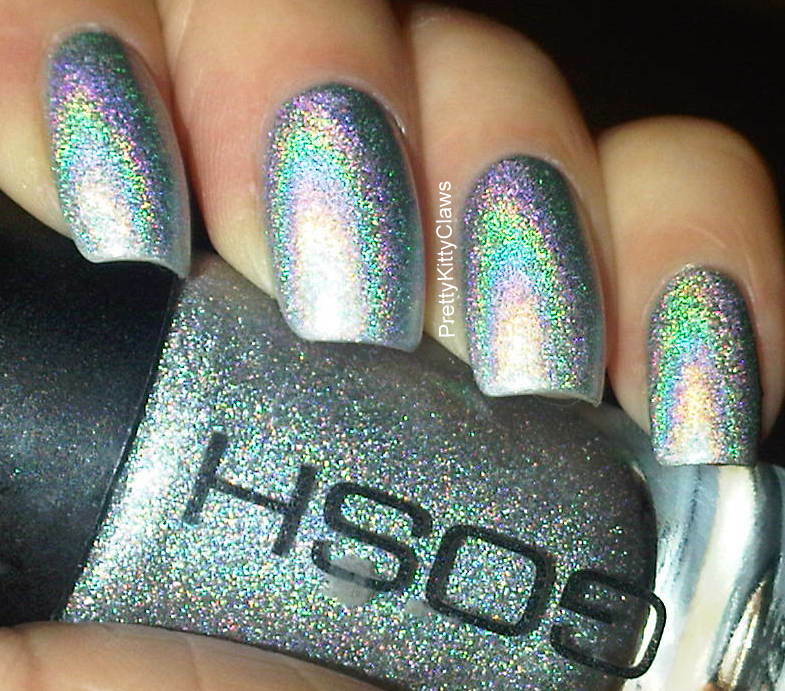 So continuing my holographic theme here's GOSH Holographic. I probably don't need to say anymore do I? I have to admit I caved and paid a lot for mine on ebay, but it was oh so worth it. BUT if you are thinking of doing the same DON'T! It's being re-released apparently in August so I'm keeping my fingers crossed that the formula is the same. 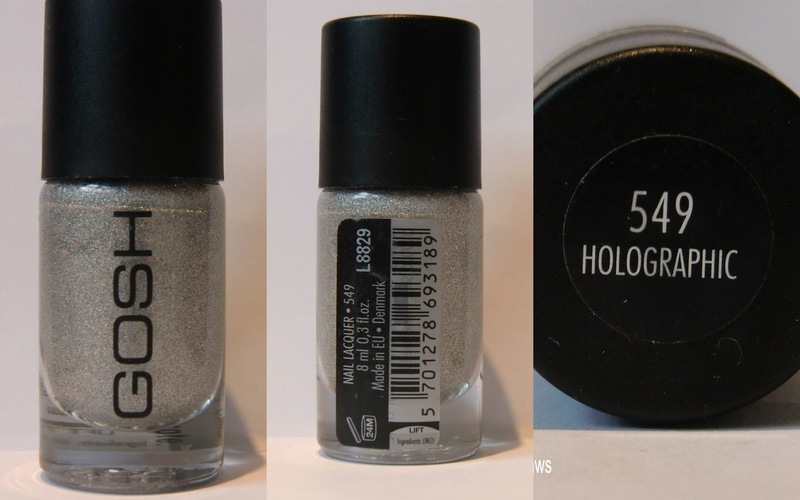 I don't think I'll quite believe it until it's on my nails but if it is I'll ceratinly be stocking up I can tell you. 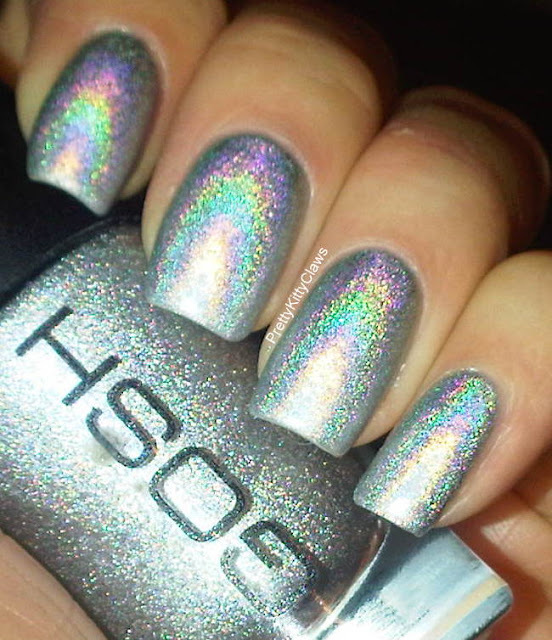 GOSH Holographic is an amazing linear silver holographic. I don't think there is anything quite like it myself. 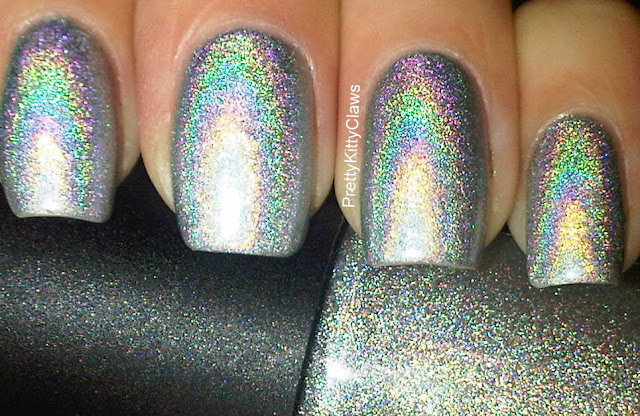 It's a pretty small bottle at 8ml so I saved it by just using one coat over my Nails Inc Royal Mews which is also silver holo (here). I found it pretty easy to apply but that was probably because I already had a base. Please DO NOT use a topcoat with this, from what I found it will ruin the holo effect. I haven't extensively tried all my topcoats with GOSH holographic but I really think the best thing is just to accept this is an awesome mani which will last only a few days. 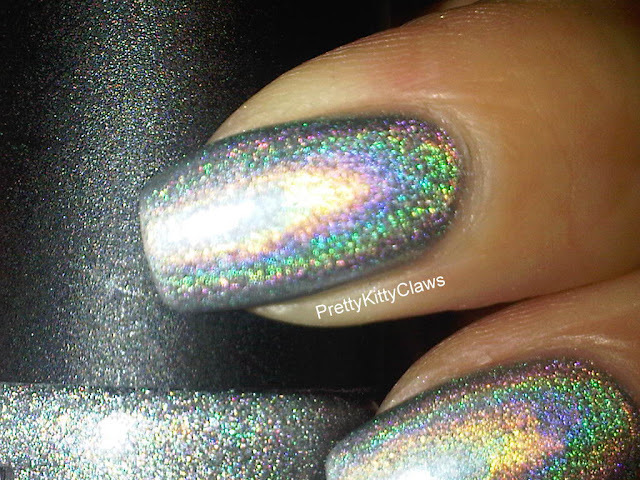 GOSH also did a base coat to use with this polish. I was lucky enough to get one but I didn't use it here, I will next time though. 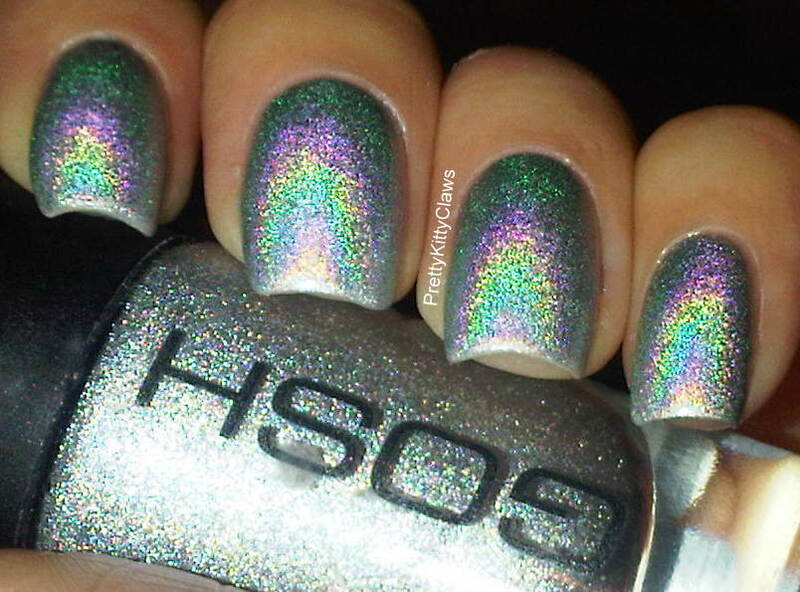 This is a HOLO! With all the letters! It's great!!!! In Argentina doesn't exist. So sad!